I focus my attention, instead, on the being that’s following me, slowly, lazily, in the water as I stride on the beach in fierce wonder. 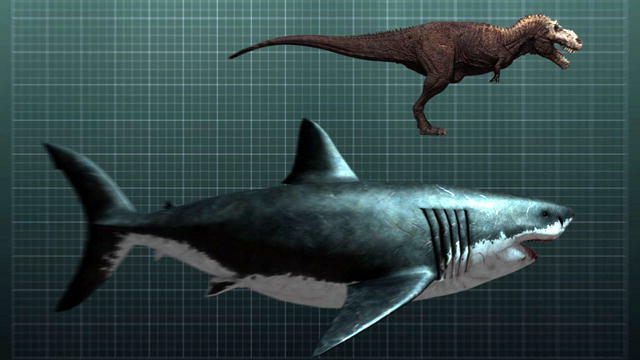 Throughout the week my grandkids – 3, 7, 8 years old – have regaled me with facts of the shark and the megalodon, the tyrannosaurus and the brontosaurus. I see those creatures in my sleep, large and dangerous, teeth sharp and serious. But on this dawn walk I discover another creature entirely. 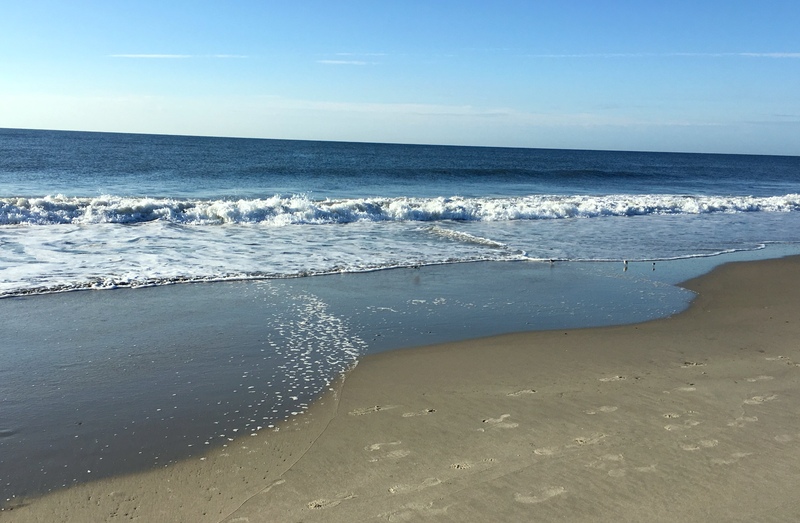 She can’t be, and yet there she is, taunting me as she glides along just 10 yards from the shoreline, slinking in and out of the waves with such grace and guilelessness that my breath stops.
. . . her face is more beautiful than a newborn babe’s. More peaceful than a pink peony. Her countenance shines brighter than the wisest prophet, and her eyes shine wisdom unknown to humans. I walk on, waiting, wishing, for a word from her. We visit like this for a mile: I walk slickly along the sand, she glides like an eel in the feet-away sea. The silence is as loud as a prayer. When I pass the twelfth lifeguard stand, she disappears. I stop and stare out in the open ocean, at first bereft with loss, but then joyous beyond belief. And that’s the problem, who will possibly believe me? I turn around, a bit irate that I now have 24 sandy blocks to walk back to our rental house. But in that time, I decide exactly who to share my tale. The children – who believe in megalodons and dinosaurs. But my shock at their reaction stings me to the core. The 7- and 8-year old begin to listen open-mouthed as I tell them of my encounter. They’re patient as I describe the color of the sky, the feel of the sand, the sound of the ocean. But when I get to the wondrous female creature … their eyes roll and they turn their heads away from me. Oh, it’s just Madre telling one of her stories. NO! I try to explain. Listen! 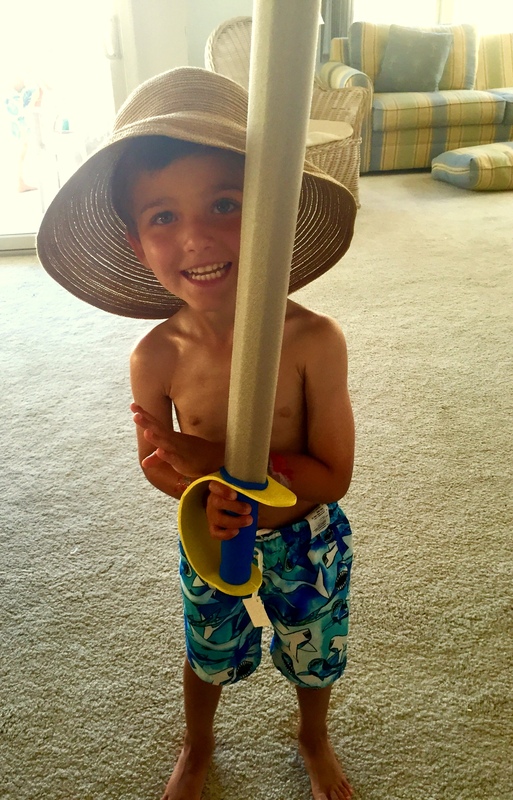 The 3-year-old stands still, staring at me, for some reason wearing my beach hat and wielding a floppy sword. He believes in knights and pirates and Crustacean monsters. But he shakes his head in firm disapproval of my own fantastical oceanic account and follows his brother and sister out of the room. But I really saw her! I hope that means you’ve met her too…! THANK you. As you know, the world is full of wonders if we allow ourselves to see them. I believe you,Pam! 😀. Lovely wondrous writing – I was with you on that beach! I love it when children are at that wonderfully devouring and sharing knowledge age – precious times. You are welcome!! Watch out for the mermaids! Naturally, as a child of the ocean, I wholeheartedly beieve you. 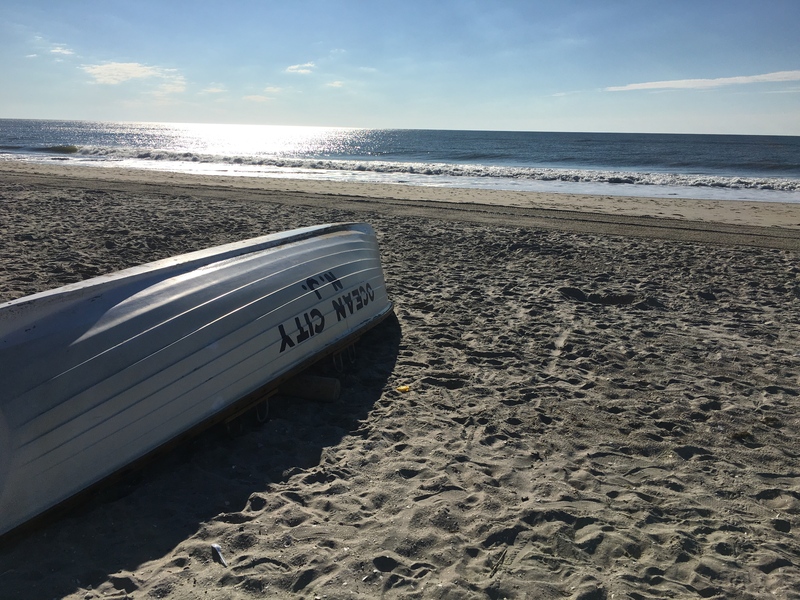 Wondrous things happen in the early morning on the beach–even in OC. Of course I believe you. Oh yes! I surely believe. Oh, your 3 yr old is so handsome! The 3-year-old is particularly good-lookin’ in my beach hat! 🙂 Thanks for believing, Andy. As ever I believe you … walked a stretch of the Dorset Jurassic Coast with two of my grandkids a couple of weeks ago, they were strangely quiet, the sea does mysterious things, or maybe it was the mild threat I’d chuck them in if they misbehaved … and no they’d never believe that of silly Grandad! As always, I L O V E your sense of humor and your sense of being exactly what your grandkids need. A fabulous Grandad. Had the ‘unexpected’ pleasure of looking after the same two grandkids on Friday afternoon. Had to try and keep a straight face as the 5 year old boy stood before me hands on hips telling me he was born to be naughty, I think he may be right! A minute later I got a ‘love you Grandad’ … and there was me thinking women are complicated! The sea is full of more mystery and magic than we could ever imagine. I’ve always thought it strange that we put so much emphasis on outer-space exploration when there is SO MUCH unknown in our own planet’s seas. Oh yes, I believe you, Pam. The sea is a magical place. Enjoy! Thanks for believin’, Jill. To the sea, to the sea, to the beautiful sea…. What a beautiful tranquil scene you have created; as one with the world and its creatures. What’s to not believe? Smart choice, George. Oh, how boring life would be if our eyes were closed to the magic around us. Please tell me your friend’s website, Marian. I need to visit it. That’s so insightful: “Some things have to be believed to be seen.” I think there is a world of unseen that if believed, would full us up with such joy…! Pam, I know what you saw on your walk- it can only be seen in quiet moments when there are very few people around. That’s why most visitors to Ocean City don’t see it! What do I believe? I believe that we human beings spend too much valuable time discounting what is not possible instead of investing that same time in contemplating everything that is. It makes my heart smile to know that there are still some of the latter who believe in believing. Why do your words always give me goose bumps, Dave? Y E S , too few are invested in what IS and COULD BE, and instead only consider what is not. I’ve often been accused of being too dreamy-eyed and illogical. I happen to think the world would be a much happier place if more of us considered our dreams instead of our wide-awake notions. Oh, Pam, I love the wonder and magic of this post…and the writing is beautiful. I was completely taken in. The images were perfect too. I started with the shark and then toward the end realized it was a mermaid! ❤ I can't believe for a moment that those grandchildren didn't believe you. What's wrong with them? Ha ha. I used to vacation at Long Beach in NJ as a kid with my cousins. Lots of great memories there. Enjoy your vacation! As the world turns and grows smaller…my Victorian relatives ‘took their summers’ in Long Beach, bringing along their chests of linen and silver. Perhaps you saw a glint of a fork when you were a child, and dreamed of buried treasure…? I was with you all the way! I believe you. The power of imagination and creativity! I do believe that you may have seen this female sea creature. In fact, it could be that she only appears to like-minded souls….! Not so pretty, but I’m certain some sort of sea creature swam parallel with me for a while on a beach in Lowestoft (England) a few years back. Seemed to be curious, and I was sad when he/she disappeared. Ohhh, so wonderful, Roy, that you experienced a similar sighting. I think we feel this sense of loss because we realize we’ve seen something that’s always there, but most times we’re too involved in ‘reality’ to peer into the dimensions that surround us. Of course I believe you! I’m amazed at your grandchildren’s reaction. Kind of funny! And you know, Patricia, I read all sorts of books to these grandkids, with talking backhoes and children who escape into museum paintings and dragons who fly. 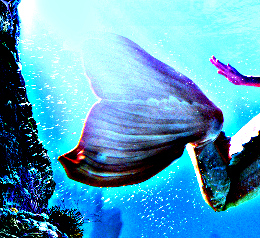 WHY wouldn’t they believe their Madre’s mermaid? Perhaps they need the adults in their lives to always keep hold of a reality they’re just learning they have to accept. I certainly remember my confusion when I was 5 or so, when I realized that grown-ups didn’t see the same things I did, and that I wasn’t allowed to see the shadows anymore. Good! As a writer and a believer in the presence of so much more than “meets the eye,” I’m thrilled that my words convinced you of my sea/surf/sand encounter. Oh yes, I believe. I may have seen one too, a long time ago, in a land near by……..
Of course I believe you. She sometimes comes and visits me here. on my beach walk here on the Pacific Ocean. May it’s her distant cousin. I absolutely believe you saw her!!! Thank you, Courtney! Hard to describe the lightness of being when encountering a being that’s not supposed to ‘be’ but who every once in a while feels comfortable enough to show herself. After all, myths began from a truth…. I struggled to describe the beauty of discovering the reality of what’s supposed to be fantasy. Thanks so much for believing, Hilary. I try not to talk about them much, of course. I don’t like to boast about the vast extent of my knowledge. I believe you! They’re real, I’m sure, even though I haven’t had the pleasure of encountering one myself. It’s narrow-minded of us to think that creatures don’t exist just because there is no scientific evidence! What a great experience! Any fairy tale will convince us of the existence of magnificent unexplainable creatures. And every fairy tale is based on what’s real, if we open our minds. Thanks, Kate! Do I believe you? How could I not? For I saw her through your words, in the space between the words. Hey, did I tell you that my son and daughter-in-law will be moving from San Diego to NEW JERSEY in the upcoming year? I, too, may see this creature. Or a mythical creature named Pam. One never knows! Of course, I believe. I believe that magical and wonderful sights will appear if we open our minds to seeing. I hope you meet her again. I enjoy my inner wacky voices as well. Ahhh, thank you. That’s lovely. The wondrous thing about us-soulful poets and writers – is that we have not lost that child like ability to believe and to see the unbelievable. Of course I believe you! Then again I’m wearing a floppy hat and wielding a sword…. Wonderful! I believe that YOUR belief is what made her real — what a beautiful gift you gave her… And thereby gave us all!